Pioneers in the industry, we offer tuning forks from India. 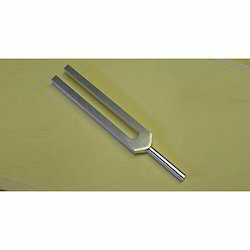 We are one of the leading manufacturers and suppliers of Tuning Forks, which is a used to to produce vibrating sound. A Tuning Fork comprises of a U-shaped prong of the elastic metal(like steel). When prong of a tuning fork is hit by a solid objects like hammers, it produces a vibrating sound. These vibrators are used mainly in Musical Instruments. Looking for Tunning Forks ?